Oh, how we wish for summer! 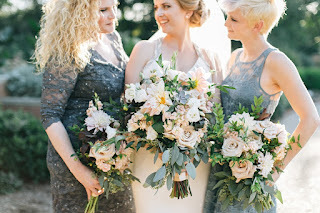 We loved this summer Missouri Botanical Gardens wedding. 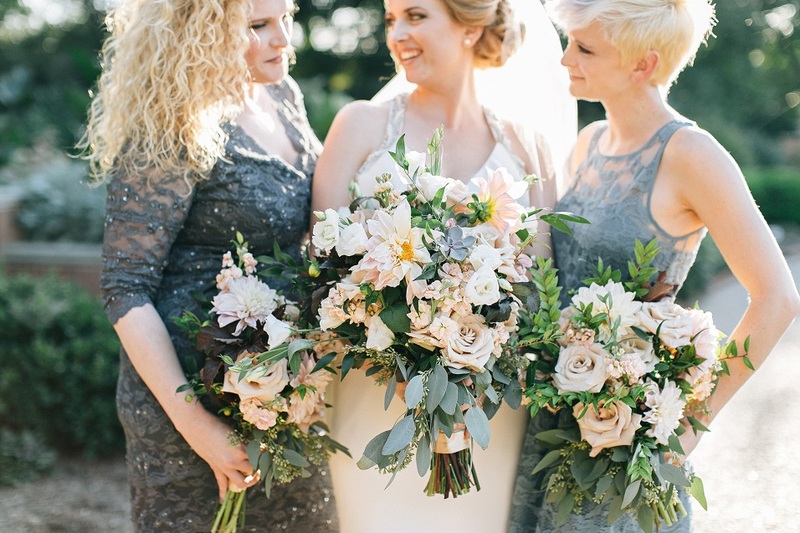 The lush textures and soft, romantic blooms were so fun to design and arrange. We combined roses, dahlias, stock flower, lisianthus, succulents, and three natural-looking greenery varieties to give our bride this look. We are thinking warm and thinking weddings at our studio this week!! Image by Megan Thiele Studios.